I will be voting for Dave Polivy for Truckee Town Council and I hope you will join me. I have lived in the Truckee/North Tahoe area for 23 years, am a high school teacher at a local public charter school and serve on the board of two local nonprofit organizations. I deeply care about our town and want our government to reflect my values while also successfully addressing the most critical issues facing our community. Dave is a successful local business owner who is also a member of the town’s Planning Commission. I am confident he will utilize the same skill that brought him success in these roles to his role on the town council if elected. 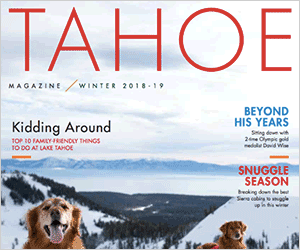 As a fellow board member of the Tahoe Backcountry Alliance, Dave and I participated in the Tahoe National Forest Over Snow Vehicle public process and worked hard to find common ground with all public land users. Dave demonstrated collaborative leadership, solution oriented thinking and worked hard to help build consensus around a contentious issue. I trust Dave to make the right choices for our town and ask that you join me in supporting him for Truckee Town Council.